Oh, how I miss virgin pina coladas. There are few places here that make them...and the ones that do, serve a sugarless, watered-down pineapple juice, with a drop of coconut milk with way too much crushed ice. I'm going to have to repurchase a blender. 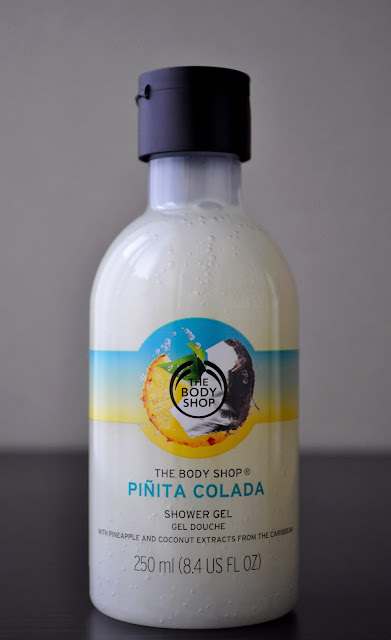 So, as I was walking past the The Body Shop entrance on my way to Isetan, I saw the Pinita Colada products, and I couldn't help but stop and pick a few items. While meandering around the store, I checked The Body Shop's US site, and saw there was also an exfoliating body scrub. I looked, and looked, and looked, but it wasn't offered over here...curses! Pinita Colada Shower Gel: August is the hottest month in Tokyo. So, I thought this would be a perfect Summery scent to start my day, before everything turns into a sweltering hell. The shower gel has a creamy lather that feels luscious. The skin is left clean, soft with a delicious, tropical coconut and pineapple fragrance that lingers for an hour or two. 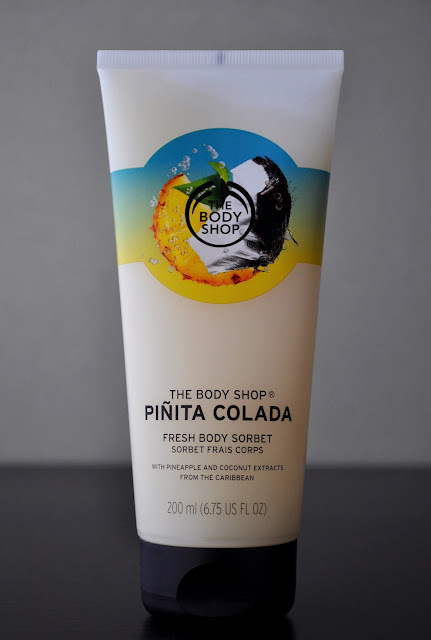 Pinita Colada Fresh Body Sorbet: I was going to get the Body Butter, but found the Body Sorbet had a truer pina colada scent. The body Sorbet has an interesting lightweight, pureed-gel-like consistency. What I liked most about the body sorbet was how quickly it absorbed into the skin. I could get dressed right after applying, without any icky stickiness. Although I liked the Pinita Colada Shower Gel and Fresh Body Sorbet, there was this synthetic scent that would peek through when using both products. It wasn't a deal breaker, or off-putting, but it did lessen my overall pina colada enjoyment of the collection.